Sandoval will hold a jazz clinic on Thursday, Nov. 6, at 5:30 p.m. in Cowles Auditorium. All elementary, middle school & high school students in attendance will receive a free ticket to the following day’s concert. The clinic is free and open to the public. 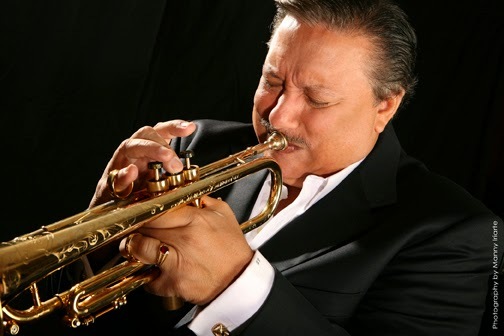 "Arturo Sandoval is one of the greatest jazz musicians and trumpet virtuosos ever,” Dan Keberle, Whitworth music professor and director of the Whitworth Jazz Ensemble, says. “To have someone of his stature perform on our campus is very rare. His visit will be a once-in-a-lifetime experience for Whitworth's jazz students and for everyone who attends." Originally from Havana, Cuba, Sandoval is one of the most dynamic performers of our time. He specializes in jazz trumpet and flugelhorn, but he also is known as a renowned classical artist, pianist and composer. He has won 10 Grammy Awards, received 19 Grammy nominations, six Billboard Awards and an Emmy Award. In addition, he was awarded the Presidential Medal of Freedom in 2013. He has performed at the Oscars with Celine Dion, the Grammy Awards with Justin Timberlake, and the Billboard Awards with Alicia Keys and others. The Whitworth Jazz Ensemble has won numerous awards over the past two decades including top band at several Lionel Hampton jazz festivals and outstanding band at the 2013 Elmhurst Jazz Festival, in Chicago. This event is sponsored by Whitworth University, ASWU, Principal Financial Group, The Sahlin Foundation, and U.S. Bank. This fall's jazz ensemble concert is one of twelve signature events hosted by Whitworth this year, in celebration of the university's 125th anniversary. Read more about Whitworth's signature events here.